Will the New Administration Repeal the Death Tax? Common question: Can my spouse disinherit me or leave me out of their will? (iii) the decedent explicitly disinherited the surviving spouse in their will. A spouse is eligible to exercise their right to an elective share even if they were separated from the decedent and a divorce was pending. If the couple was still legally married at the time of death, the surviving spouse is eligible to claim an elective share. For over 25 years, the law in Virginia allowed a surviving spouse to elect to claim (i) one-third of the decedent's estate if the decedent was also survived by children or other descendants or (ii) half of the decedent's estate if the decedent was not survived by children or other descendants. For example, if a decedent's estate was valued at $1 million, a surviving spouse would be eligible to claim either roughly $333,000 if the decedent's estate if they were also survived by a child or other descendants, or $500,000 of the decedent's estate if there are not children or other descendants. In 2017 and going forward, what a surviving spouse is eligible to receive under the elective share statute will be quite different from years past. Learn more by reading Bobby's full blog here. As part of your InSight Law Maintenance plan, we ask you to update your Asset Review Report ("ARR") each year and your Estate Planning Review Worksheet ("EPRW") every other year. Having all these reports in hard copy can result in a significant amount of paper. At InSight Law, we offer a secure portal to allow our clients to view and update these documents digitally. Once you sign up for the portal, we will send you a yearly renewal packet through the secure portal. You will receive an email notifying you that the documents are available. Simply download and review your renewal information. Your ARR is available in Word format, which you can type directly into and save. Once updated, you can upload the revised report to the portal. The same process can be utilized for the Client Update Program. When you sign up for an update, we will send you a Word document of your EPRW through the portal. You can update the EPRW with any changes and upload the revised version. This process allows you to exchange information securely with the law firm and avoid printing extra paperwork. 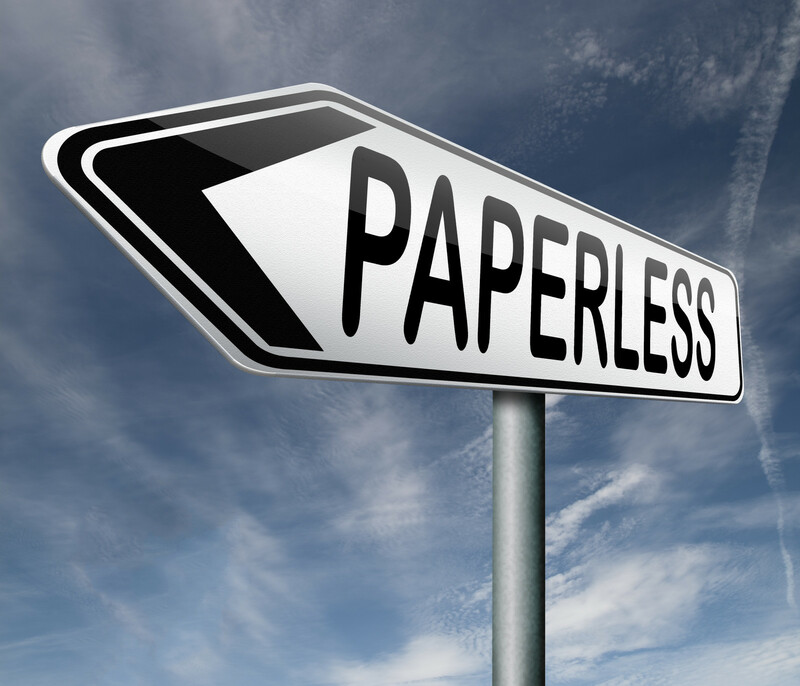 If you have any questions about signing up to go paperless, please let us know. As with any dramatic political change, people are speculating on what policies and regulations, or lack thereof, the Trump Administration will bring to the estate planning world. Will the "Death Tax" be eliminated? Will it be replaced with a large capital gains exemption? Unfortunately, nobody knows the answers to these, and many other, questions. This is nothing new to the estate planning world. Not long ago, the federal exemption level for estate taxation was as low as one million dollars. Now, married couples have up to almost an eleven million dollar exemption. Different tax laws may change the way certain estate plans are set up, but any legal modifications should not deter you from moving forward with getting your estate plan together. It is important to remember that tax planning for most people should be a small part of the overall estate planning process and not the focus. Estate planning should be focused on those big questions such as - What are your true wishes and goals? What protections do you want in place for your loved ones when you are not around? How can you preserve and expand your wealth for future generations? Maybe even pass on your legacy. As members of our InSight Law Maintenance plan, you can put any fears of the new changes aside. We follow the changes in the law and work tirelessly to implement the best strategies to protect your estate from unnecessary taxation. As always, be sure to attend our Annual Client Meetings and Client Update Programs to keep your estate documents up to date. Keep in mind estate planning is essentially a gift to your loved ones. It should make their lives easier upon a disability or your death. More importantly, it is a way you can pass on your wisdom, in addition to your wealth. So, while keeping up with the new changes will be important, be rest assured knowing that InSight Law has you covered.